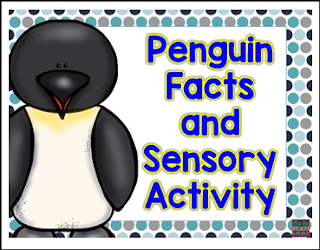 Use these visuals and materials to combine sensory and learning about penguins. In this activity, students will find penguins in the sensory bin, practice identifying numbers, practice reading and listening comprehension and learn 12 facts about penguins. *12 half page penguins with facts about penguins written on the belly area. *Instructions on how to prep and complete the activity. Copyright © Mrs. P's Specialties. All rights reserved by author. This product is to be used by the original downloader only. Copying for more than one teacher, classroom, department, school, or school system is prohibited. This product may not be distributed or displayed digitally for public view. Failure to comply is a copyright infringement and a violation of the Digital Millennium Copyright Act (DMCA). Clipart and elements found in this PDF are copyrighted and cannot be extracted and used outside of this file without permission or license. Intended for classroom and personal use ONLY. Please contact me with any questions.